American Oystercatchers are large, obvious shorebirds that inhabit barrier islands, beaches, and saltmarshes from Canada to southern Argentina. Besides consuming their namesake oysters, they also eat clams, mussels, and other marine invertebrates. Unlike most shorebirds, oystercatcher adults feed their young until they reach fledging age. 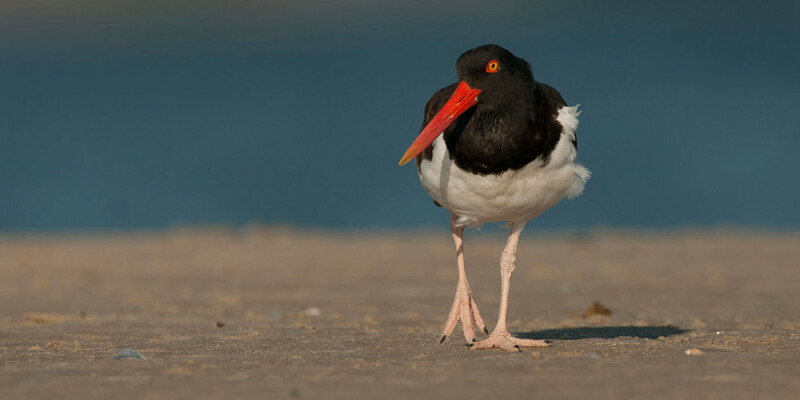 AFSI partners in North America are successfully implementing actions to reduce nest and chick and predation, which will result in a corresponding increase in the oystercatcher population.